The UK is experiencing a situation without precedent; there will soon be more older citizens than children, and more very elderly people than seen before. 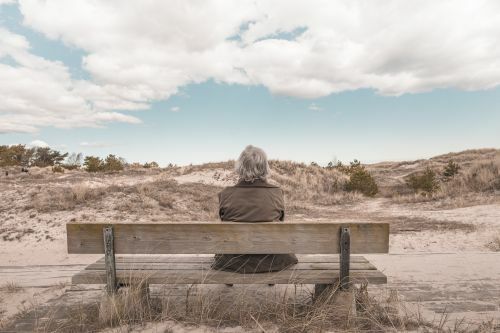 The ageing British population is viewed as perhaps the greatest challenge facing modern society, not only due to economic, social and political factors, but also socially, in particular how we manage our lives and maintain independence as we age. Life expectancy continues to rise, and the increase in longevity is an indicator that the general health of the population is steadily improving. Scientific advances in health care and regenerative medicine are the most significant contributors to longevity, along with better health education, access to a wider variety of healthy foods and the added benefits of regular exercise. The UK population reflects that of many European countries, partly as a consequence of the age structure of society today, and in particular the ageing of people who were born during the 1960s. Again, increased longevity must be taken into account – in 1981 a boy born in the UK could expect to live to the age of 81. For a male born today life expectancy is 89 years, and by 2030 the projection is for 91 years. The statistics for women follow a similar trend. The estimated life expectancy was 89 years for a girl born in 1981, and a girl born today is expected to live to 92 years. A girl born in 2030 may live to 95 years. Life expectancy is an approximation of the general expectation of life span, whereas healthy life expectancy is an approximation of the number of years that will be lived in good health. For females and males in England the progression for healthy life expectancy at age 65 has grown approximately in accordance with overall life expectancy at 65. This indicates that a longer life span need not equate to years of ill health. Healthy life expectancy is greatly dependent on pertinent socio-demographic and economic factors. Populations that suffer more deprivation can not only expect a much shorter life span, but a larger proportion of their lives will be lived in poor health. Since the 1980’s the number of people who in the United Kingdom who live into their centenary year has quadrupled, with the result that one in five people will live to celebrate their 100th birthday. 10 million individuals within the UK are over the age of 65 and current projections are for 5½ million more older people over the next two decades, with numbers nearly doubling by 2050 to around 19 million. The number of very elderly people increases even faster within this total. Presently, there are 3 million UK residents over the age of 80, and this projection is set to near 6 million by 2030 and reach 8 million by 2050. People aged 65 and over now account for one sixth of the British population, and by 2050 the figure will be one quarter. The number of pensioners is expected to continue rising, despite incremental increases in the qualifying state pension age. In 2008, for every person of pensionable age there were 3.2 working age people. By 2033, there is a projected fall to 2.8 working people for every pensioner. A third of all British people are estimated to be 55 years and over by 2030. Older people will be of disparate groups, ranging from the more economically powerful ‘baby boomers’ to people over the age of 85 with higher care and support requirements. In England today there are approximately 7.3 million households comprised of older people, and 14.7 million older people in the general population. In the next twenty years, about 60% of projected household growth will be comprised of households with people aged 65 or older. In households where all the occupants are 55 years or older, most are single people living on their own, or couples. Single females aged 75 or over also make up these households. 76% of residents over the age of 65 own their properties, mostly with mortgages paid in full. Older home owners tend to reside in larger properties than other households, with just under seventy per cent living in homes that have at least two spare bedrooms, which are classified as ‘under-occupied’. This classification gives rise to controversy, as most people believe that their home is the correct size for them. However, the number of younger households that are not able to purchase their first home without engendering excessive debt has risen. Most older people have a sentimental attachment to their home, their possessions and the surrounding environment, and would prefer to remain in their home for as long as possible. For many, moving house can be a stressful, unsettling experience, and often they are uninformed on alternative housing options, believing that there are no acceptable homes accessible to them. Some older people may move, or plan to move only at a critical stage, such as when they need care or experience problems relating to their health which become too difficult to manage. In such instances, personal support with practical assistance can be a major benefit in helping elderly people stay in their homes. A significant minority of older people feel that their home is difficult to manage, or would become progressively difficult within the coming decade. The desire to socialise and form relationships, and for a secure, warm and manageable home becomes increasingly important with age. Older people want homes in neighbourhoods that are well-connected, and typically they value well-insulated homes that have at least one spare bedroom and outdoor space. Retirement housing appeals to more than a third of older people, either immediately or in the future, highlighting a potential demand for this market. The majority of mature people reside in mainstream housing, and the current market for specialist housing available only to older people is much smaller. In England there are around 530,000 specialist homes, located mostly in the social housing sector with a range of support services that provide residents with practical daily help. However, there is minimal specialist housing available for rental or private purchase, and mid-range housing for older people who do not have access to social housing and are not wealthy is also scarce. There is a shortfall of bungalows or ground floor accommodation in relation to demand in the general housing sector, and some homes are difficult to access for people with limited mobility. Due to the housing shortage, there are many older residents who are unable to move to acceptable housing such as ground floor flats and bungalows. The choice is very limited for those wishing to change accommodation in order to meet their support needs, especially with regard to affordability, location, tenure, size and support options. The limitations of specialist housing have made it a focus for provision, including increasing the number of retirement villages and housing with care provided. In comparison with existing housing tenure amongst older people (about 70% owner occupied) there is far less availability of specialist housing for purchase (about 30%) than there is for social rents. The extra costs of some retirement housing, such as service charges, can make it prohibitive, and resales can be difficult. The majority of people will have to remain in their homes, which in turn means that they will have to adapt their homes to suit their needs. Making simple adaptations could mean the difference in prolonging independence in their own home for many older people, ensuring a quality of life that may be unavailable otherwise. Many elderly people live in older homes with stairs that are steep, or have other features that make them difficult to navigate, but this does not necessitate a move to a care home or assisted living, even if using the stairs is challenging. This need for assistance can be simply addressed within the home with a mobility aid, such as a stair lift. Stair lifts in the UK are a viable solution for filling mobility needs within the home and preventing an unnecessary move into a care facility. 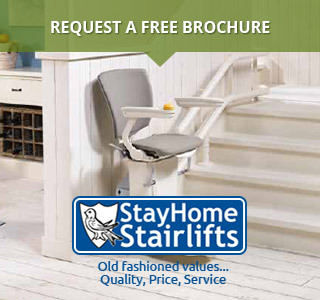 Older homeowners can rely on a stair lift to transport them between the floors of their home. Although some people may be able to walk with the help a stick, walking up and down stairs can be a particularly onerous task if someone is visually impaired, or has problems with depth perception, or other age related issues. There may be mobility issues that limit an individual’s ability to ascend and descend stairs to use a bedroom or bathroom. The individual may be competent and healthy in all other aspects, and capable of living alone without day-to-day assistance. A frail elderly person may not be totally immobile, but negotiating stairs is a risk to health that is not worth taking. If living on one floor is not practical or affordable, a stair lift may be the most viable option for safe and efficient independent living. There are a variety of stair lifts to suit individual needs, from straight, curved and lifts for outdoor use, enabling users to access front and back steps, and gardens. Apart from lifts with seats, there are also standing lifts, for people who cannot sit or have problems bending their knees. For stairs that are too narrow for a lift, alternatives such as a vertical lift, or re-arranging the home for single floor use may be considered. In the UK, the demand for stair lifts has grown tenfold over the last 20 years. As people increasingly live longer and lead fuller lives, many will opt to stay in their homes, and for some, physical restrictions will make UK stairlifts a vital requirement rather than a luxury. Consequently, as the need for stair lifts continues to grow, the outlook is positive for users. As technology improves stair lifts will become more energy efficient, reliable and more compact. It is also likely they will become less expensive to manufacture, and as a result, cheaper to purchase. This will be a great advantage to future customers who wish to benefit from the independence and freedom that stair lifts provide. One of the UK’s leading stair lift manufacturers has seen business grow steadily over the last forty years, selling over half a million stair lifts, which accounted for around three-quarters of the total company revenue. The UK is the largest stair lift market, but the Euro-zone market also accounts for forty percent of exports. The increase in demand for stair lifts is not only seen across Europe, but there is also a rise in demand from Asian countries such as Taiwan, China and India, as the understanding of investing in mobility products grows, along with the global ageing of the world’s population, creating a a great stimulus for growth in stair lift production. Stair lifts are not a new concept in the UK. It is reputed that King Henry VIII was first to make use of assisted transport to navigate stairs. The belief is that one of his subjects developed a system of block and tackle pulleys mounted on a track that enabled the cumbersome King to climb the stairs of London’s Whitehall Palace. In the 1930’s C.C. Crispin, and American from Pennsylvania, invented what he dubbed “The Inclinator”, the original mechanised stair lift of contemporary times. The mobility aid became very popular in homes with occupants who suffered crippling disabilities as a result of polio. In the 1970’s, Fred Brooks was one of the first people to make and sell motorised stair lifts in the UK. Brooks built a prototype in 1972 for his wife Grace, whose arthritis became so debilitating that she could not navigate the stairs in their home. His prototype stair lift was so highly acclaimed that he began manufacturing them for sale shortly afterward. Stair lifts can be the answer to many of the mobility challenges that disability presents in the home. Regardless of the access required, whether it is from floor to floor, or the exterior of the home, stair lifts could be the solution. Home renovations can be very expensive and disruptive, and they do not always add value to a property. In comparison, stair lifts are inexpensive and can easily be removed if they are no longer required.